This entry was posted in Another Thank You, Freshly Made Sketches Challenge, Kinda Eclectic. Bookmark the permalink. Love seeing the new colors! They look great with the Kraft! Pretty card! I had forgotten all about this stamp set too until I saw your card! Those leaves are some of my faves! I love how you’ve combined all these images along with that bit of lacy ribbon. Gorgeous! Great take on the sketch, Amy! The sunburst image is perfect for the circle element. The new in-colors look beautiful and I’m looking forward to getting my hands on them. Beautiful card Amy! 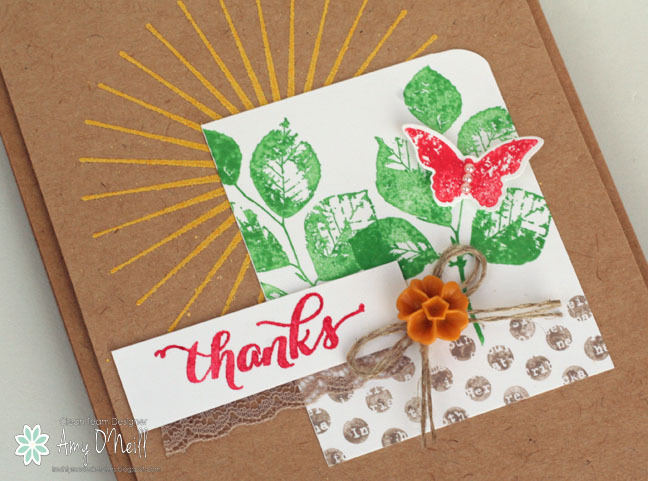 I love that stamp set and think the sunburst is perfect! I love that little piece of lace peeking out! So sweet! This sunburst is perfect for the sketch, Amy! What a fun color palette (that I will now have to copy)! 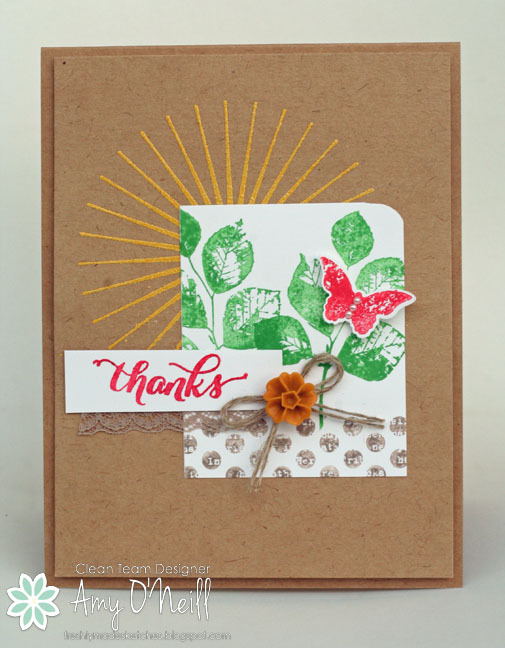 I thought about this stamp set too as I knew it would work perfectly for the challenge! Your colours as always are combined perfectly!